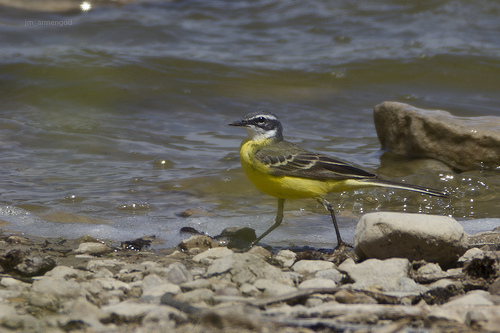 The Yellow Wagtail comes in a wide number of subspecies. In each of these subspecies, the colouring of the head is slightly different: from yellow with the English Yellow Wagtail to black with the Balkan Yellow Wagtail. Sometimes the different types are considered separate species. 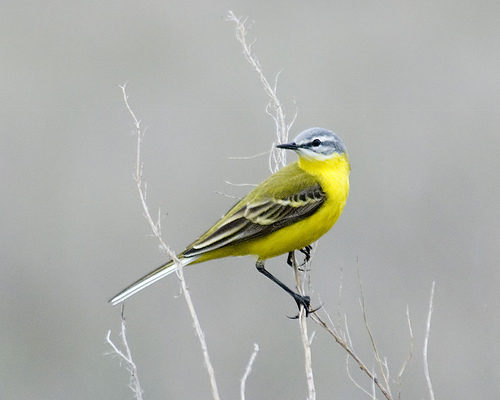 The Yellow Wagtail has a yellow or olive-coloured body. The Grey Wagtail is grey.